If iPad won’t show up on iTunes, then you don’t need to worry because we’ve shared a good number of troubleshooting solutions that can help you out of this situation. Method 3: Other Possible Solutions to "iTunes Not Recognizing iPad"
If the obvious tips fail to fix your iTunes, or you don’t want to waste time on manual trying, run iMyFone TunesFix to easily fix this “iTunes not detecting iPad” issue. 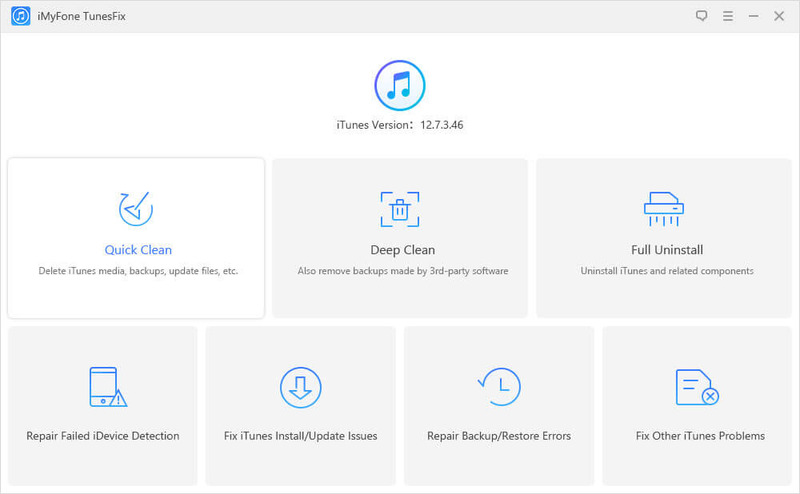 TunesFix is an all-in-one iTunes repair tool for rectifying all iTunes errors and issues. It can repair, clean, and fix all iTunes issues/error in few clicks. With TunesFix, you don’t have to worry about your iTunes performance. One click to fix 100+ iTunes errors: iTunes could not connect, iTunes won’t open, iTunes won’t install/update, and other issues. Repair iTunes issues without damaging iTunes library. Clean iTunes data selectively in bulk or all at once, including media, iOS backups, cache, cookies, etc., to quickly reclaim huge space. Completely uninstall iTunes and its related software (and user data if you want). Step 1: Open TunesFix and it will automatically detect your iTunes and its necessary components. 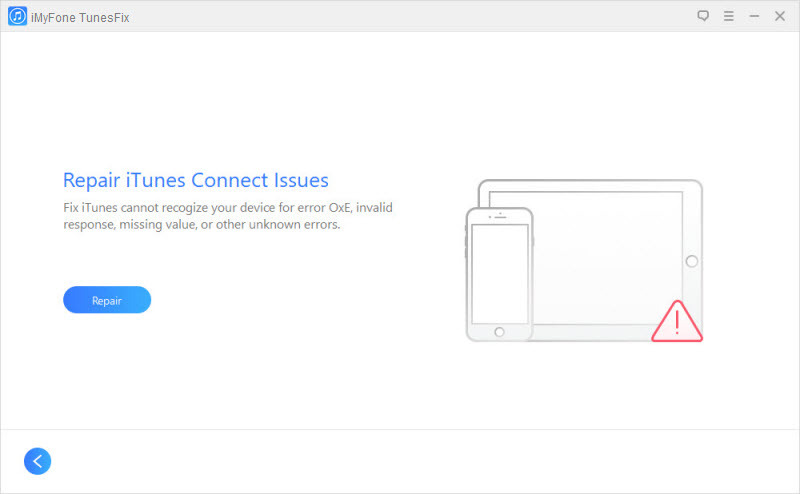 If your iTunes is damaged, TunesFix will show you the specific error. Step 2: If your iTunes is complete, you will be brought to the home interface. Select “Repair iTunes Connect Issues”. Step 3: Click “Repair” to start the process. At the end of the repair, the downloading process will start. During the download process, all damaged drives will be replaced, and iTunes will work properly. There are some obvious solutions that most users may try first. Check below to see you have tried it or not. If not, try it first. But if the problem persists, then you can follow other methods. Many iPad users are complaining that it freezes often and something undetected by iTunes. But force restarting your iPad can help you when iTunes does not recognize iPad. It will also make a frozen iPad come back to life again. Step 1: Press and hold the Power and Home button together for about 10 seconds. 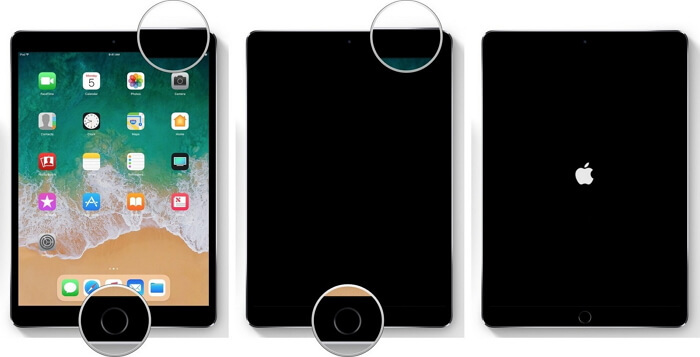 Step 2: Release your hold when Apple logo appears on your iPad screen. If force restarting your iPad Pro does not solve the undetected iPad issues, then close your programs, save your works and restart your PC. We are including this option in the list of solutions to “iPad doesn’t show up on iTunes” because you may have been using your PC for too long a time, hence there is a need for a restart. Once your PC has restarted, your iPad should appear on iTunes. On Mac: Launch iTunes and click on the following tabs “iTunes > Check for Updates”. 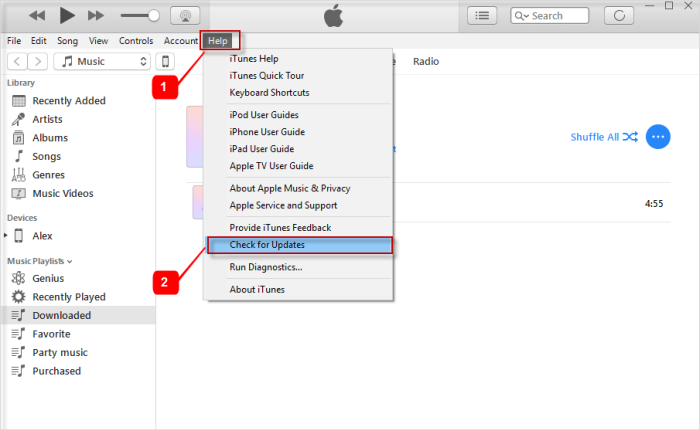 Then install the latest version of iTunes by following the onscreen guide. On Windows: Launch iTunes and click on the following tabs “Help > Check for Updates”. Then install the latest version of iTunes by following the onscreen guide. Could it be that your lightning cable is not original? If you purchased your iPad as a second hand or bought a new lightning cable from a small store, then you need to try another USB cable to see if that is the problem why your iPad is undetected by iTunes. You should also try using another USB port other than the one your iPad cable is plugged into. When you plug in your iPad to a computer for the first time, it will require you to trust the computer before giving you access to all its data and files. Sometimes, if you’re not quick in trusting the computer, this notification may go. So, plug in your iPad and check for this notification before looking out for your iPad icon on iTunes menu bar. Other Possible Solutions to "iTunes Not Recognizing iPad"
We believe by now the problem should have been rectified. But if you don’t want to buy, here are still other free ways you can try. But it should take you so much time. 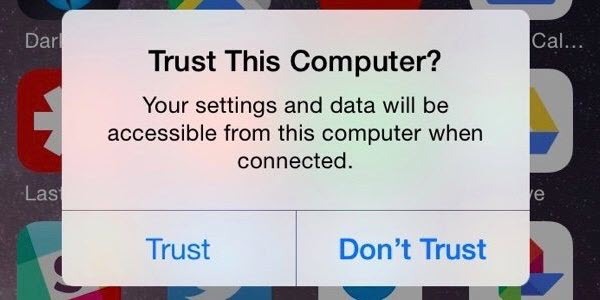 If you ever mistakenly pressed “Don’t Trust” in time past, your iPad won’t show up in iTunes, and the message won’t pop up again when you connect your iPad. Here is a way to fix it. 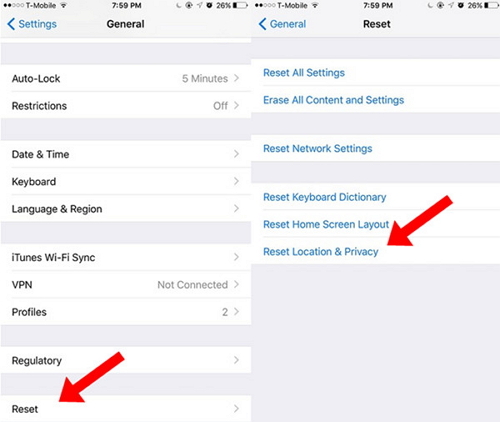 Step 1: Since the “Trust this Computer” is stored in “Location and Privacy Setting” on your iPad, you have to reset it by going to “Settings > General > Reset > Reset Location & Privacy”. Step 2: Plug in your iPad to your computer, the trust your computer. If the Apple drivers on your Windows PC can’t recognize your iPhone, iPad or iPod touch anymore, then the drivers need to be updated or reinstalled. Step 1: Close your iTunes and plug your iPad into your computer. Step 2: Press “Windows” key and “Pause” key at the same time and choose “Device Manager”. Step 3: Search for your iOS device under “Portable Devices” by right-clicking on it and choose “Update Driver Software”. 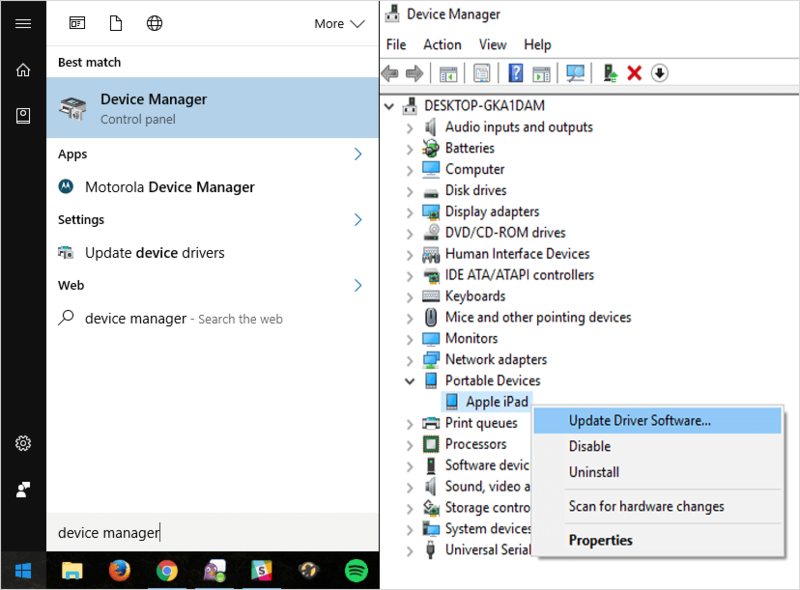 Step 4: Click “Browse My Computer for Driver Software > Let Me Pick From a list of Device Driver on My Computer > Have Disk. Step 5: On the “Install from Disk” window click the Browse button. Navigate to C:\Program Files\Common File\Apple\Mobile Device. Support\Drivers\usbaapl64.inf. Double-click the usbaapl64.inf file to select it, then click OK in the “Install from Disk window”. Your Apple’s Windows drivers will automatically reinstall, and your device will be recognized by iTunes.